We love a good brand refresh. We also love Cascade Brewing. So, when we caught wind of Cascade Brewing’s brand refresh and new labels, well, we had to share the news. What we love most is how much thought went into the new logo. Cascade Brewing has been a pioneer in the sour beer renaissance since 2006 and the proud innovator of the Northwest Sour Ale. Its distinctive sour beer blends feature fruit forward, barrel-aged ales with an emphasis on project year-to-year variation. These beers offer a complex array of flavors derived from the acid, the fruit and the residual flavors present in the barrels in which they age. The resulting beers offer a complex array of flavors and aromas derived from with each project year release capturing the unique subtleties of that year’s growing season. 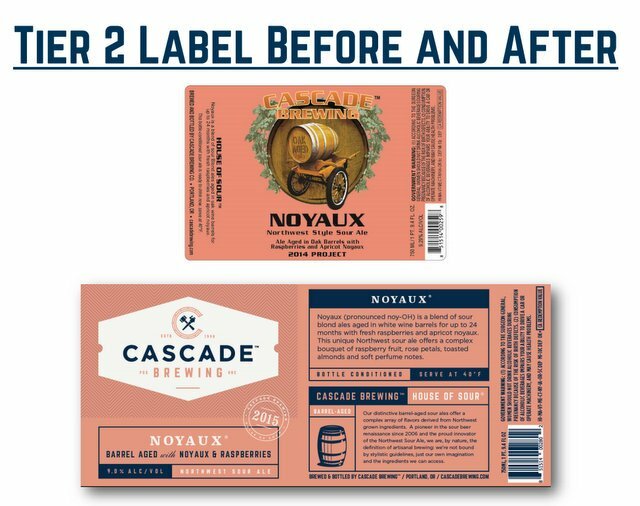 We are no experts in design, but in our opinion, the new Cascade labels are an upgrade and really match everything explained in that previous paragraph. The Cascade experience is best felt at the brewery, where you can get a good sense of the care and intricacies of the blends and techniques. The new labels convey a ton of that information, while also looking clean. 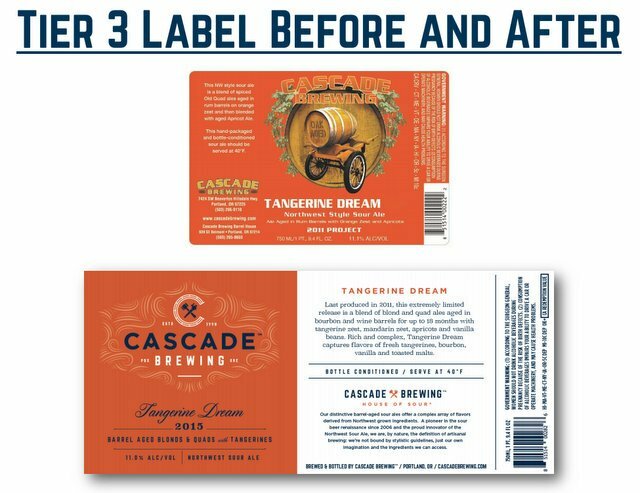 Cascade has unveiled three distinct label formats, one for each of the three tiers of products it produces. The three tiers are based on the ingredients used in the beer, the time the beer is aged in the barrel and the type of barrel used — all of which establish the pricing tier of the project.